One of the keys to maintaining beautiful and youthful skin is having the right skin care products. Siti Med Spa in San Diego has partnered with SkinMedica, the very best skin care product line. Our partnership has made Siti Med Spa an authorized dealer of SkinMedica, meaning we offer a wide array of SkinMedica products both in our store and, more importantly, online! Visit our online store today and find the perfect skin care product for your needs. As we age, collagen production diminishes, skin thins and elasticity decreases, causing facial sagging, fine lines, and wrinkles. SkinMedica products are scientifically formulated and clinically tested to rejuvenate skin and help rekindle your skin’s youthful appearance. SkinMedica chooses scientifically proven ingredients such as growth factors and other compounds to formulate advanced skin care products with antioxidants and retinoids that enhance the natural appearance of your skin by helping to prevent free radical damage. The products go to work the moment you apply them. After consistently using a daily regimen, you’ll begin to see noticeable results. SkinMedica professional skin care products are the result of almost two decades of research and clinical experience. Our scientists are continually working on new formulations and clinically testing our products to provide the next breakthrough in skin care. Get what you need for vibrant, shining and youthful skin with SkinMedica skin care products from Siti Med Spa. Our online store offers exclusive discounts and savings on some of the very best skin care products on the market. If you are interested in learning what SkinMedica product is best for you, contact Siti Med Spa today. We can advise you over the phone or in person at our San Diego location. Give us a call at (619) 717-8484. Siti Med Spa proudly participate in the Brilliant Distinctions program to help our amazing and loyal customers save money. Enjoy exclusive savings on select Allergan treatments and products that we offer in our online store and our San Diego location. Visit our online store to see some of the tremendous savings and discounts we can offer on SkinMedica skin care products. The TNS Essential Serum is an incredible product available at Siti Med Spa in San Diego, offering a rapid and dramatic improvement to the appearance of wrinkles, fine lines, skin texture, and skin discoloration. 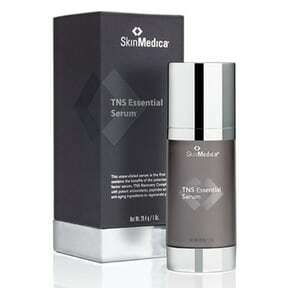 Here we explain the science behind the rejuvenating effects of TNS Essential Serum. Want to keep your skin looking radiant during the winter months? You’ll need to adjust your skin care routine. Here are our best winter skin care tips!